This download (PhotoFlowGallery.zip) was tested thoroughly and was found 100% clean. Click "Report Spyware" link on the top if you found this software contains any form of malware, including but not limited to: spyware, viruses, trojans and backdoors. 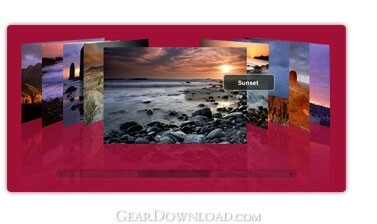 Stack Photo Gallery SWF XML 1.0 - Stack Photo Gallery is a simple photo gallery that displays a stack of photos. Online Puzzles Maker 1.2 - Create entertaining web-based puzzle games! Flash Jigsaw Producer 2.2 - Create entertaining web-based puzzle games with Flash Jigsaw Producer! Jmusic 2.0 - A flash-based music player for your website. Flash Menu Factory 3.0 - Flash Menu Factory can create stylish flash menus for your website. Amara Flash Slideshow Software 3.42 - Amara Flash Slideshow software creates animated slideshows.